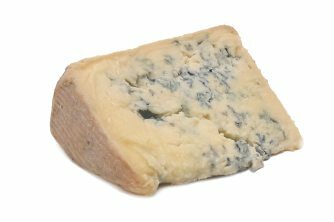 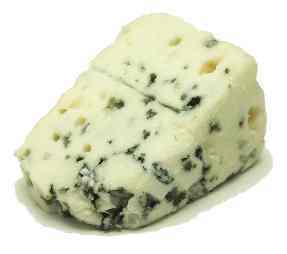 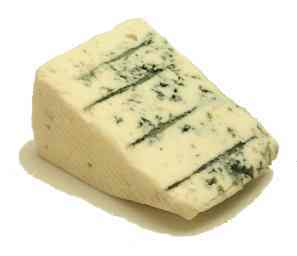 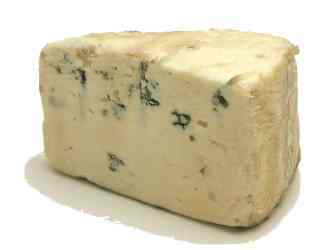 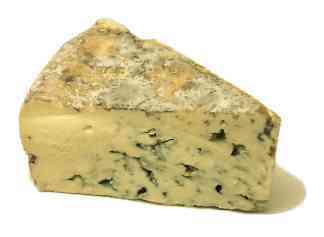 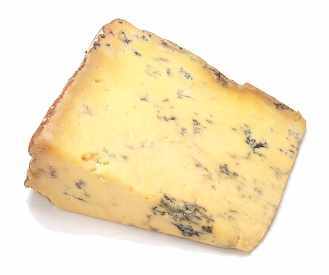 blue cheese = blue-veined cheese Notes: Many centuries ago, cheese was left to age in some moldy cave and became streaked with bluish-green mold. 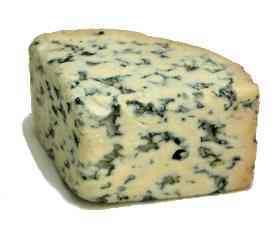 But rather than spoiling the cheese, the mold gave it a pungent and distinctive flavor, and blue cheese was born. 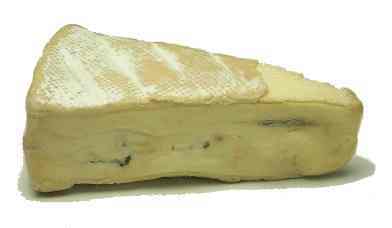 Since then, cheese-makers learned to inject or stir mold spores into different cheeses, and many still use caves to age them. 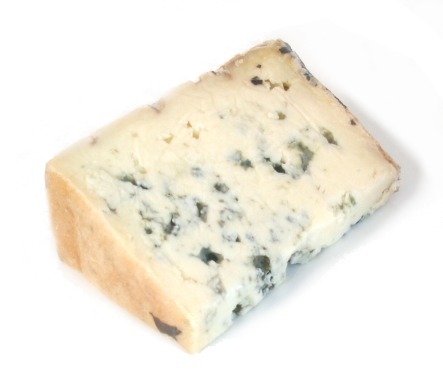 Blue cheese--either crumbled or in a dressing--nicely balances bitter greens in salads. 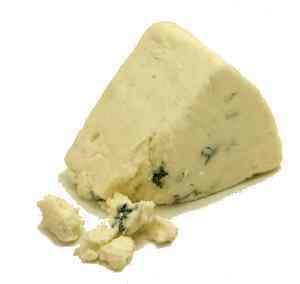 You can also pair it with bread, crackers, or fruit for an appetizer, or let it melt on pasta or grilled meats. 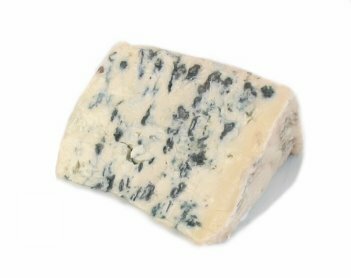 Blue cheeses vary in pungency--I'd serve a mild blue cheese like Cambozola at a neighborhood get-together, and a more pungent blue like Saint Agur or Cabrales to fellow foodies that I'm trying to impress. 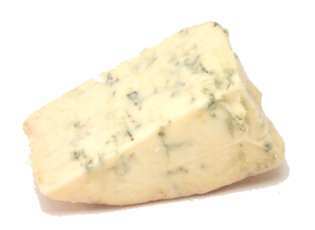 Stilton is the most renown blue cheese, and a reliable party-pleaser. 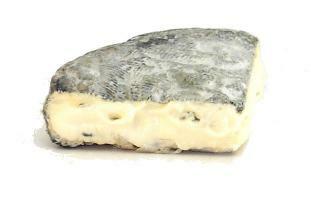 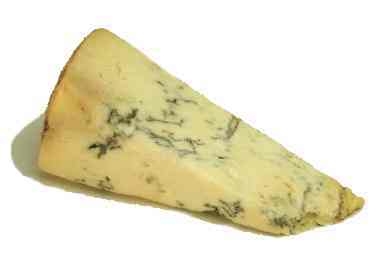 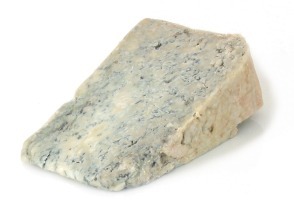 Bleu de Chevre = Bleuet Notes: This French blue cheese is made with goat's milk. 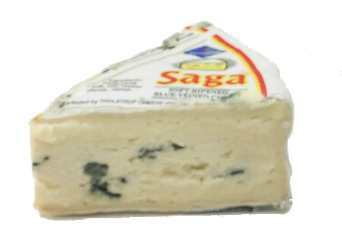 It's shaped as a pyramid, and has a distinctive country (or barnyard, some would say) flavor.